It is the printmaker's mission to bring prints back from a small circle of understanding to the attention of the masses. Dai Daquan grew up in Ningxia in the north-west region of China where the ethnic Hui people are the main inhabitants. He studied undergraduate and postgraduate printmaking courses at the Xi’an Academy of Fine Arts and lectured in the Printmaking Department of the Academy until 2002, when he moved to the College of Art in Qinghua University in Beijing. He is currently professor and deputy head of the Fine Arts Department there. 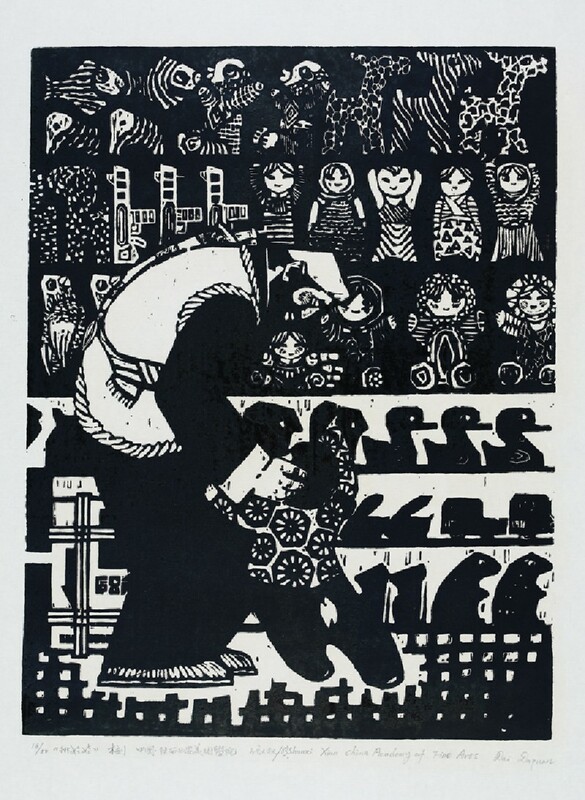 Partially because of the demands of his teaching career, Dai’s prints are in a range of forms, from realistic to abstract, from folksy to primitive styles and in a variety of media and techniques. 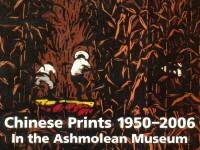 However, monochrome woodcuts with rural subject matter form the bulk of his work. Presented by Dai Daquan, 2007.